Finnish archipelago outposts - Sail in Finland! Hamnen.se is a very popular Swedish online boating magazine. 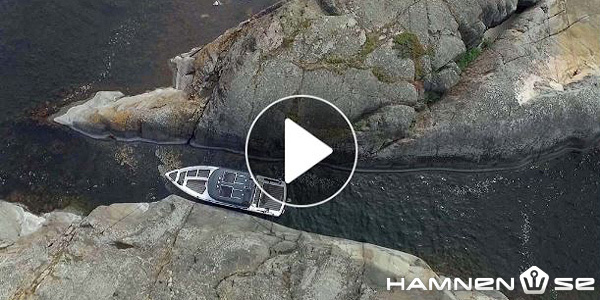 Hamnen often visits Finland to test Finnish boats and to check out local boating locations. In the summer of 2016, Claes Olivecrona from Hamnen went “rough” and toured a few Finnish archipelago outposts together with adventurer Kari “Ruffe” Nurmi. The trip provided some spectacular sights from the barren outer archipelago and lots of great information about boating in Finland. I have compiled the English language videos into this blog post. The embedded videos all start with an ad in Swedish, but once the main video starts, they are in English. The first destination of the trip was Bengtskär, a lonely lighthouse at the southern edge of the archipelago. In its glory days in the 1930’s, Bengtskär was a lively island with up to 40 people living on the island. After the lighthouse was automated, the inhabitants moved away and the lighthouse almost became a ruin. Fortunately, the lighthouse was restored and taken back into use in 1995 and has since been one of the most fascinating places in the archipelago not only to visit but to stay for longer periods of time. The people in the archipelago lived of subsistence farming, hunting and fishing. The best fishing and hunting areas were far out in the archipelago outposts. On these islands the locals established temporary dwellings where they could spend longer times during the intense fishing and hunting peak seasons. Klovaskär is an example of such an island and there is even on old fishing hut still left on the island. Claes and Kari also visited Utö, the southern most inhabited place at the edge of the archipelago sea. Unfortunately all videos from Utö were done in Swedish. If you want to learn about Utö, you can check out this post here on Sail in Finland. As anyone studying a map or an aerial photo of the Finnish archipelago will see, navigation is in the archipelago is a bit different from navigating the open seas. In this video Claes and Kari talk about the ins and outs of archipelago navigation. One thing Kari and Sail in Finland agree on, you should still use paper charts as well as electronic navigation. 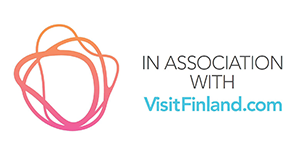 For more information on the paper charts for the Finnish waters, check this post. Helsingholmen (not Helsingeholmen as Hamnen incorrectly writes) is a traditional archipelago homestead. The island is one of the few “one family” islands still inhabited in the archipelago and a very popular boating destination. Helsingholmen is known for the fish you can buy and this video gives a lesson in how the best smoked fish is made. And to round up, glide across the archipelago for some great views. Get the full story (including videos in Swedish) from Hamnen.se.